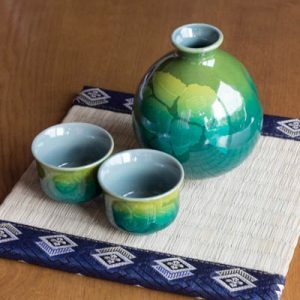 This cold sake vessel set is manufactured using a technique known as Saika Kiriko. 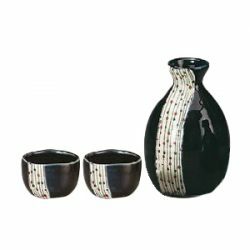 Emphasizing the beautiful curvy lines, this sake vessel set has a retro pattern. 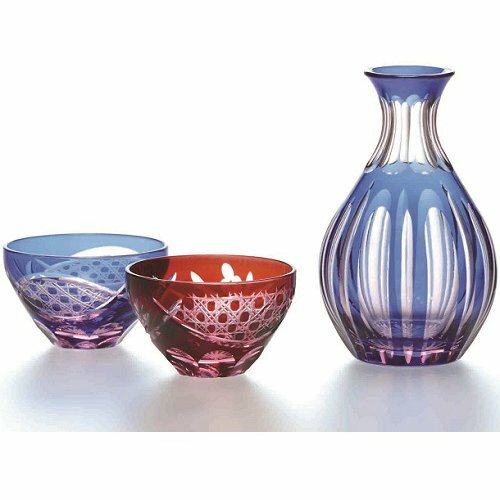 Not only does the sake vessel set have kiriko (cut glass) and retro features, the set itself creates visuals of a modern Meiji / Taisho periods of Japan. 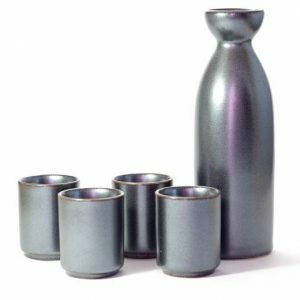 Not just preserving traditional patterns, it can be said this sake vessel set considered the norms of the future. 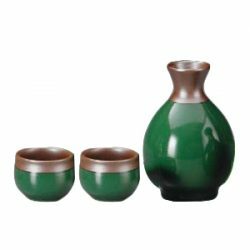 This sake vessel set has the unique presence that cannot be express by only colored glass or patterns. 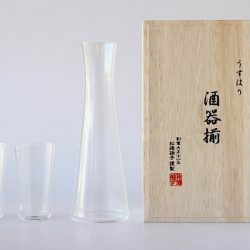 Not only is the sake vessel beautiful, the profoundness of the delicate glass created by the craftsmen enables Sake lovers to enjoy every last drop of Sake, without any loss to the intricate Sake flavors. 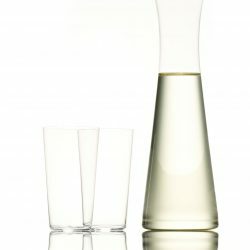 By placing the lips on the edge of the guinomi, the soft sensation will enable the Sake lover to enjoy the pure, delicious taste of Sake without any distractions. 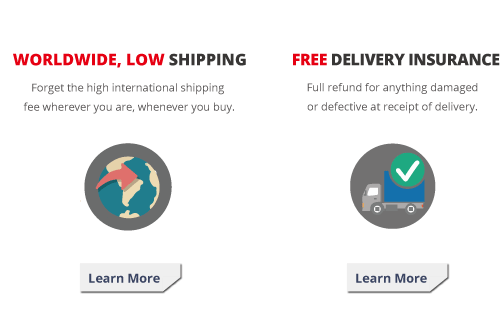 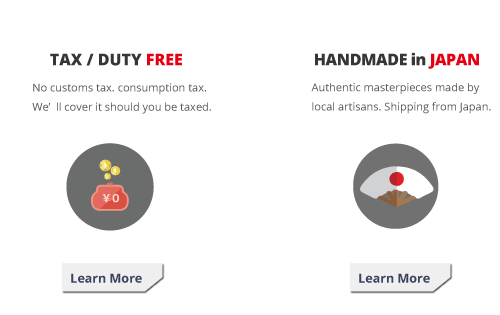 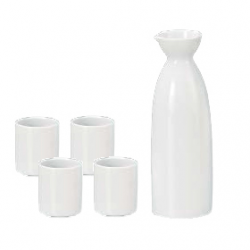 While enjoying the design, we feel Sake lovers will also be satisfied with a usage of the sake vessel. 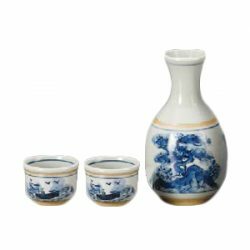 One tokkuri and two guinomi are included in the set, making it a versatile set for both solo Sake enjoyment and enjoying Sake as a couple. 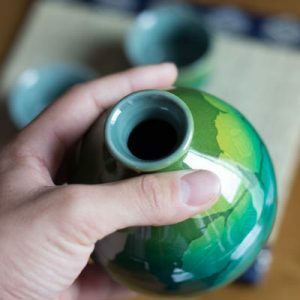 Sake lovers can enjoy the leisure in the unhurried passing of time. 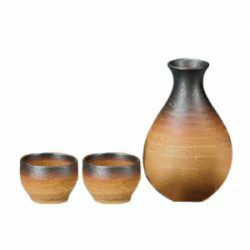 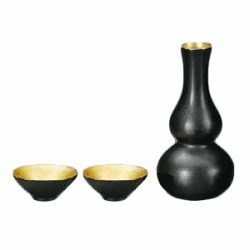 With this beautiful design, this sake vessel set is recommended as a gift item as well. 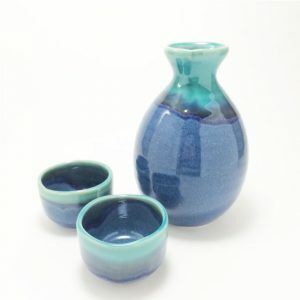 Of course, to those who enjoy Sake, Japanese culture, but it is also ideal for people who enjoy Japanese modernism. 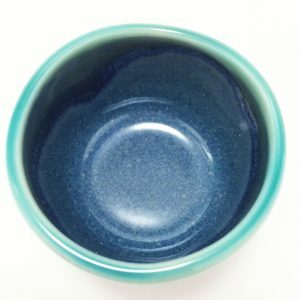 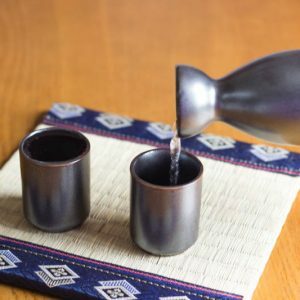 Because this guinomi holds a larger quantity than a standard guinomi, for those who don’t drink Sake, we recommend using the guinomi as a mini-cup.